Let Us Help You Comply With This Law. 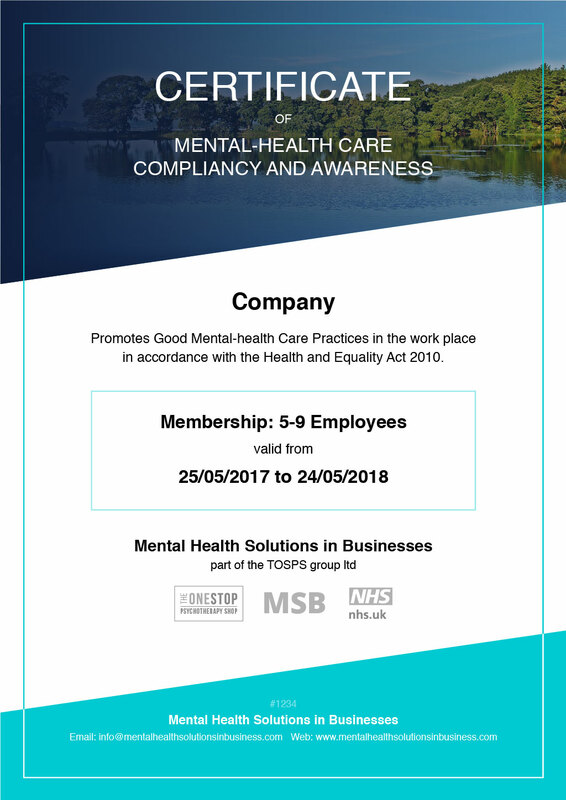 Employer’s responsibilities around mental health? An employer has a duty to make reasonable adjustments. If the adjustments are deemed ‘reasonable’ within their resources, and not implemented, the employer would have to defend their failure to provide these adjustments in a court of law. Does an employer have to make these adjustments? Yes, failure to comply can result in prosecution. If an employer does not comply with the duty to make reasonable adjustments they will be committing an act of unlawful discrimination. The Act does not permit an employer to justify a failure to comply with a duty to make a reasonable adjustment. Adjustments can be simple and inexpensive (check our prices), but must be effective, practical and affordable. Adjustments must be made and monitored. Be A Leader In Employer Mental Health. Show Your Mental Health Compliance. If you employ one person or more, this law applies to every business. Providing mental health solutions for your company is not only an investment, it’s the law. It shows employees that they are valued by their company, that their wellbeing is cared for, and that their employer is committed to providing them with a healthy working environment. Mental Health Solutions in Business is here to help employers understand mental health problems and provide mental health support. Our various CPD Accredited online courses and counselling service are perfect for large and small business alike. 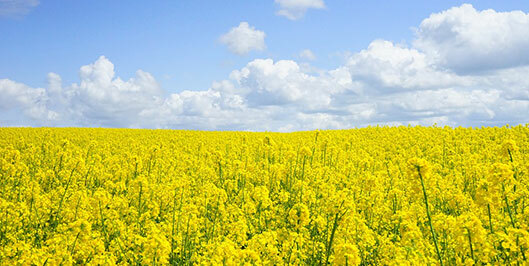 We are the only NHS UK approved online counselling clinic. Don’t take the risk. Help protect your business and employees. Sign up for a membership today. Employment tribunals account for 23%, of which mental health tribunals account for over 6% and is the fastest growing claims area. Prosecution and convictions in mental health disputes are increasing faster than in any other tribunal cases and at an all time high in 2017. 2018 claims are already up by 90% over the previous period. You can find a copy of the Equality Act here. This disability act (2-2-1) is being amended on a regular basis (significant changes 2017). 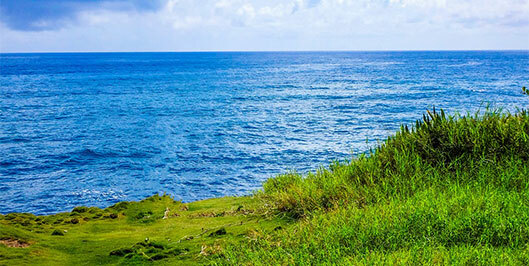 This site is updated in accordance with any adjustment to relevant law. Keep up with the changes or risk the consequences. Find a copy of the Equality Act here. E- learning courses taken at both parties convenience. 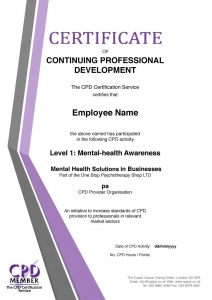 The CPD Accredited person becomes the initial contact person for your building. Advise and help given to the employee. Posters inform all employees who to contact.